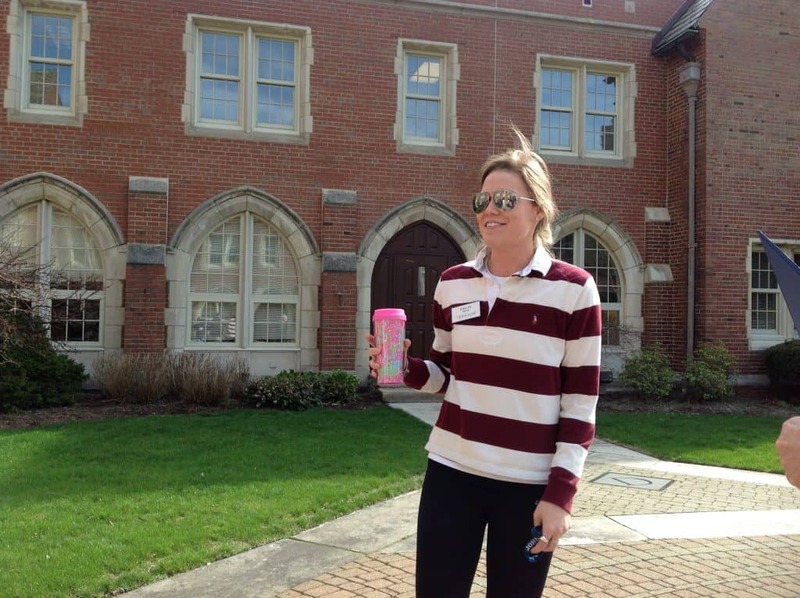 My tour guide Kelly is a junior marketing major from Erie, PA. She was personable and confident as she toured us around JCU’s beautiful campus. John Carroll University’s most famous alumnus is the late Tim Russert, the former host of NBC’s Meet The Press Sunday news program. Russert frequently spoke of his education at JCU and the communications department is named after him. One of the two Meet The Press fellowships offered each summer must go to a JCU student. 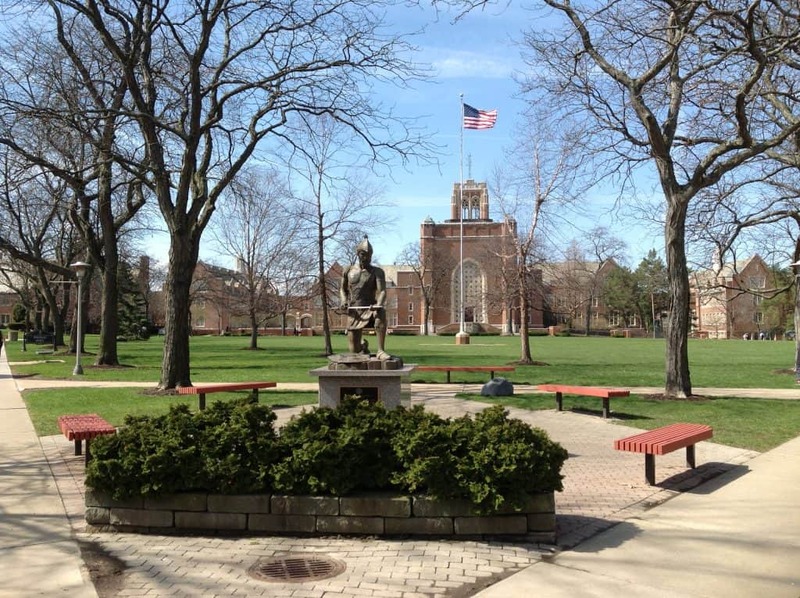 With about 3000 undergraduate students, JCU is a Catholic institution in Cleveland, Ohio. The entrepreneurship program is #1 in the state and #18 nationally. Students are taught to recognize business opportunities and develop their ideas into successful businesses. Students are paired with local alumni who run their own businesses. The most popular majors at JCU are business, education, communications, psychology, and the natural sciences (pre-med). Sixty to eighty of students are accepted to their first choice medical school, which is significantly higher than the national average. The Cleveland Clinic, one of the larger health care systems in the Midwest, is the largest employer of JCU alumni. About 40% of students here have more than one major, and many students design their own major, in close consultation with faculty. John Carroll is in the process of revising their core curriculum to better link academic subjects and prepare students for today’s more interdisciplinary work environment. As one of the admissions officers spoke to my group of counselors, I was reminded of Evergreen State College (in Olympia, Washington) as they discussed team-taught courses integrating disciplines. One of the students who spoke to us said that she had been “challenged to see the world in a different way” through travel and study abroad at John Carroll. My overall impression of John Carroll University is that it’s a great place for a student who needs a little bit of nurturing and more hands-on relationships with professors. My photos from my visit to John Carroll are here. 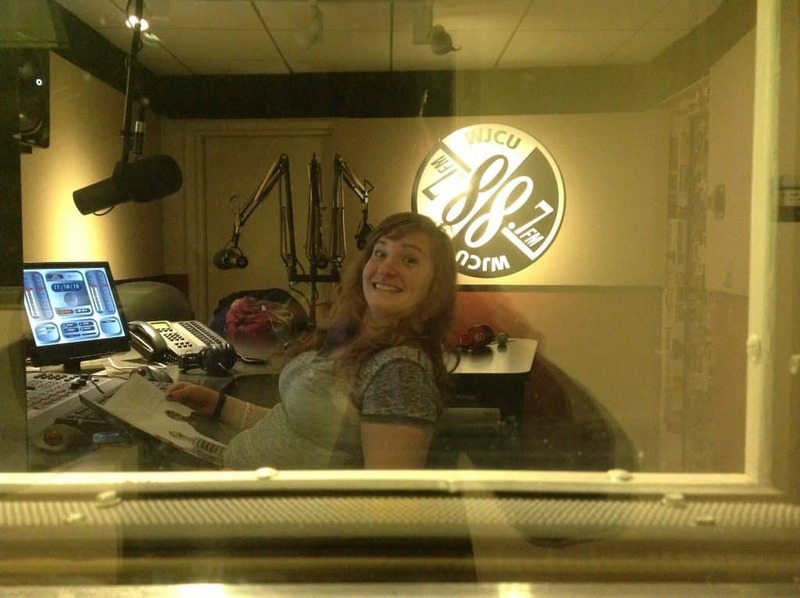 The photo below is a student happy to be running her own radio show!